A sweet and silly tale of unexpected friendship between a girl and the bear she finds at the end of a string. When Lucy spots a string, she can't help but give it a yank, and before she knows it, she meets Hank! But this bear isn't quite sure what to make of Lucy, especially because the string is attached to his pants, and they're unraveling fast! Now Lucy must dream up the perfect solution to Hank's missing pants, and hopefully win this dubious bear's heart along the way. 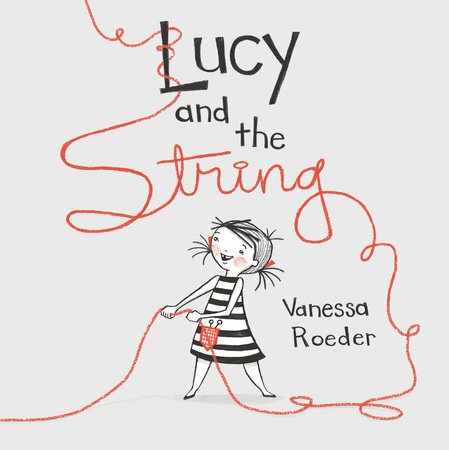 Vanessa Roeder's picture book debut is a heart-filled tale of curiosity, innovation, and finding friendship in unexpected places.